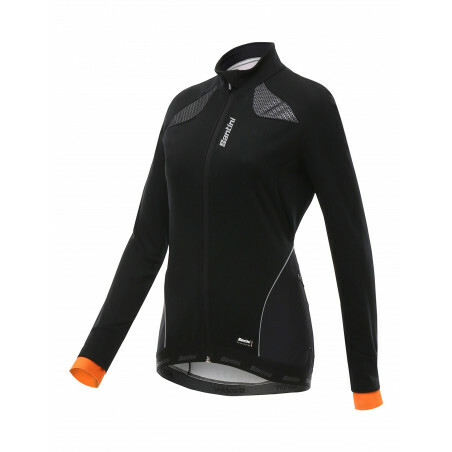 Made of fabric Windstopper Fuga, soft, warm and resistant to rain and wind, Coral has a feminine cut, designed to follow and enhance your curves. The inside of the neck, the back, and the cuffs are made of warm thermofleece to ensure excellent thermal balance and prevent air infiltration. The Coral jacket is made of fabric Windstopper Fuga, soft, warm and resistant to rain and wind. 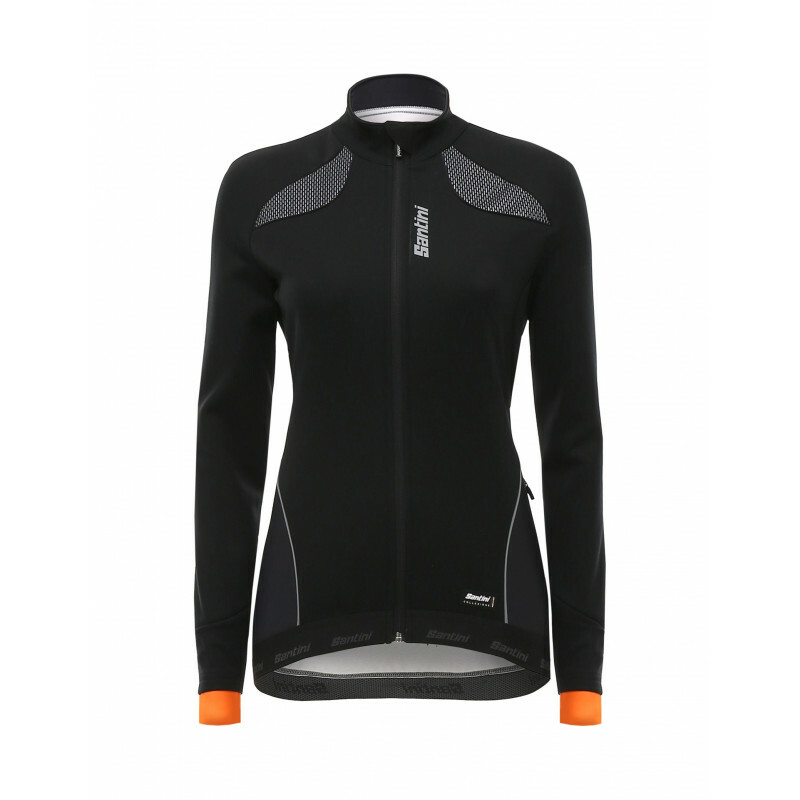 The inside of the neck, the back, and the cuffs are made of warm thermofleece to ensure excellent thermal balance and prevent air infiltration. Coral has a feminine cut, designed to follow and enhance your curves. The SMS reflective logo on the back guarantees maximum visibility on the road, while the side pocket with zipper allows you to store your valuables in safety. At the waistband, the Santini jacquard elastic keeps the jacket in place while youre on the move. 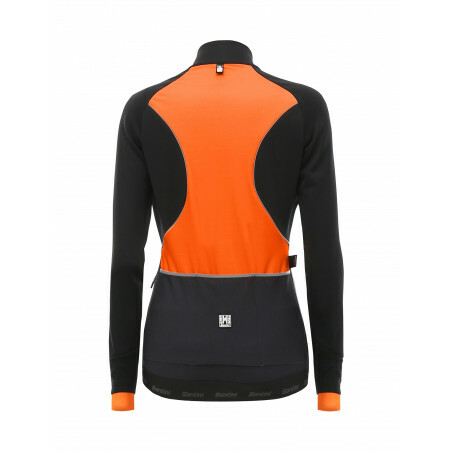 Wear it with the Coral kit and you will be fully covered for your winter rides!